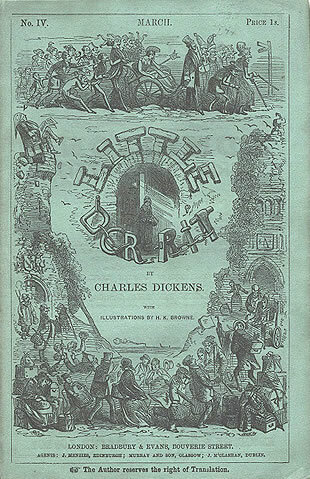 Little Dorrit was the 11th novel of Charles Dickens. The novel was published in installments from December of 1855 through June of 1857. In 1855 Dickens has a disappointing reunion with Maria Winter (Maria Beadnell). This incident was dramatized to become the reunion of Arthur Clennam and Flora Finching in Little Dorrit. 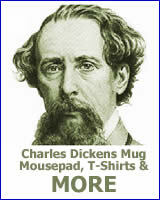 The next year Dickens purchases Gad’s Hill Place. In 1857 Dickens meets Ellen Ternan. He would eventually separate from his wife, Catherine, and would be involved with Ellen for the rest of his life. This scene was based on an incident in the life of Charles Dickens. 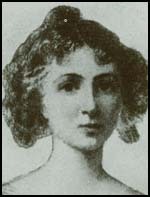 The first love of Charles Dickens was the delightful Maria Beadnell. The relationship was a troubled one. At that time Dickens was a young man with few prospects and Maria’s parents did not approve of the match. Additionally Maria and Charles had a falling out at his 21st birthday party. They did not speak for twenty four years after that argument. In 1855 Maria, who had become Mrs. Henry Winter, contacted Dickens. Although she warned him that she was no longer as he remembered, he was shocked by her appearance and personality. That experience found its way into Little Dorrit. Little Dorrit leaving the Marshalsea. Illustration by Phiz. 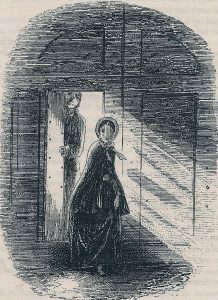 The Marshalsea debtors’ prison plays a large part in Little Dorrit. The novel opens there. The Dorrits live there and eventually Arthur is imprisoned there. It was a common practice for the entire family to move into debtors’ prison, not just the family member declared insolvent. The family members that were not convicted of insolvency could leave the prison during the day. Some prisoners even had regular maid service during their incarceration. 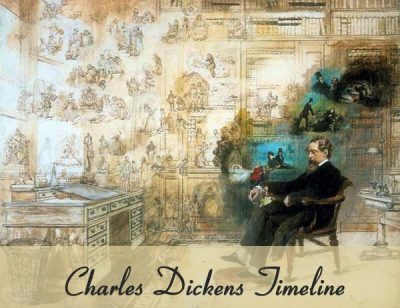 During Dickens’s lifetime very few people knew that Dickens’s father had been sent to Marshalsea for three months. While his father was in prison Charles, then only twelve years old, was sent to work in a shoe-polish factory. Dickens was deeply scarred by these incidents and rarely spoke of them. Melancholy streets, in a penitential garb of soot, steeped the souls of the people who were condemned to look at them out of windows, in dire despondency. The theme echoes throughout this dark novel. There are loveless marriages, incompetent government offices and the stifling influence of society. However at the end of the novel some characters find freedom. Some through the truth, some through death and some through love. 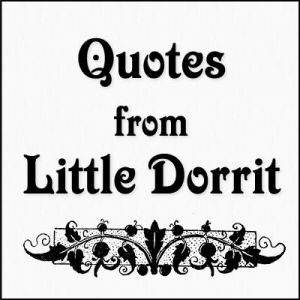 They all gave place when the signing was done, and Little Dorrit and her husband walked out of the church alone. They paused for a moment on the steps of the portico, looking at the fresh perspective of the street in the autumn morning sun’s bright rays, and then went down.